What's your perfect Turks & Caicos Vacation? We Know Provo We're a local company. We know Providenciales and have intimate knowledge of the villas we manage. We're Here for You From greeting you at the airport, we're here on island to ensure that your vacation is perfect. Best Prices We work directly with property owners and are the first with specials and discounts. 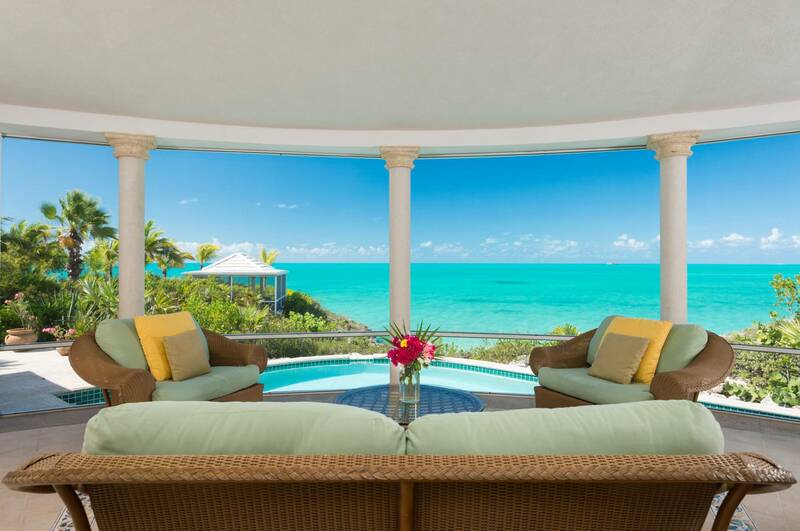 At Island Escapes Turks & Caicos, we're the managers for our extensive portfolio of luxury vacation rentals. We're dedicated to making your Turks and Caicos vacation absolutely perfect. Whether you're a couple or having a family vacation, you'll find the perfect villa with us. Grace Bay is home to the world's best beach and is the centre of tourism in the Turks and Caicos Islands. The barrier reef located a mile offshore helps ensure that the waters are usually quite calm, and the area is home to many restaurants and the golf course. Leeward is home to an excellent beach which many consider to be an eastern extenstion of Grace Bay Beach, and is one of the finest beaches in the Caribbean. The beach at Leeward isn't home to the large-scale resorts of Grace Bay and we have many luxury beachfront villas here. Chalk Sound is a narrow peninsula found between it's namesake National Park lagoon (with stunning turquoise waters) and the ocean. Chalk Sound is also home to the popular beaches of Sapodilla Bay and Taylor Bay Beach and the community of Silly Creek. Turtle Tail is located on the southern coast of Providenciales and is primarily a large peninsula. This area has excellent vistas and is generally a more secluded and private part of Providenciales. Long Bay, located on the southeastern coast of Providenciales, is home to the 3 mile-long Long Bay Beach. The shallow waters of Long Bay is a paradise for kiteboarders and is home to many luxury villas. Blue Mountain is the highest point on Providenciales and the coast is generally limestone cliffs and small secluded beach coves. This area extends down into the residential region of Thompson's Cove including Babalua Beach. Give us an idea of what you're looking for and we'll be right back! Tell us about yourself and who's travelling with you. Providenciales, fondly called Provo locally, is the most populous island in the Turks and Caicos Islands and home to world-famous Grace Bay Beach. Much of the waters on the northern coast form part of the Princess Alexandra National Park, which is recognized for excellent snorkeling and scuba diving, which is an experience you don't want to miss. The Chalk Sound National Park is another of Providenciales' popular parks, and is a stunning lagoon dotted with scenic small cays. Most of the island's hotels and resorts are located within the central Grace Bay area, but Grace Bay is only one of several exquisite beaches on Providenciales. Leeward, Long Bay and Chalk Sound are all home to exceptional beaches and of course luxurious beach houses. Many of these villa rentals are located directly on expansive sandy beaches, whereas other oceanfront homes feature their own secluded coves. You can experience the amazing Caribbean sunsets from your villa's balcony. A visit to Providenciales wouldn't be complete without a taste of conch, the most popular seafood in the Turks and Caicos, or a sighting of JoJo, a wild bottlenose dolphin which freely interacts with humans and which is a declared National Treasure. The Turks and Caicos is a British Overseas Territory located south-east the Bahamas. Providenciales is the most populated island and the centre of tourism. The remaining major island destinations in the archipelago are West Caicos, Parrot Cay, North Caicos, Middle Caicos, South Caicos, Grand Turk, and Salt Cay. The primary industry is tourism and you'll meet friendly people wherever you go. From your plane window as you arrive, you'll notice the beautiful turquoise seas around the islands. The Caicos Banks is an extensive undersea plateau located on the southern portion of the Caicos Islands, and the shallow water leads to truly stunning hues of blue. These islands are renowned for Grace Bay Beach, often acclaimed as the best beach in the world, although the country boasts several other top beaches. The country has protected a large amount of the marine environment, which has helped preserve its pristine condition. The year-round tropical climate of the islands is perfect for enjoying water sports and other outdoor activities and things to do. We at Island Escapes Turks & Caicos are the property managers for our villas. Booking direct with us gives you the best prices and quick, accurate responses to any inquiries you may have. You won't have unexpected additional fees and inconveniences. Interested in escaping for a week? Take a look at our special last-minute rates and plan the perfect holiday getaway. Get in touch with us if you have any questions about concierge services. If you're inquiring about availability, we're the ones who manage the master calendars. Any questions about bedrooms, location, or where to go on island are directed to us. We're here on island, servicing and looking after our villas and guests, and focus on providing a truly local experience at world-class quality. 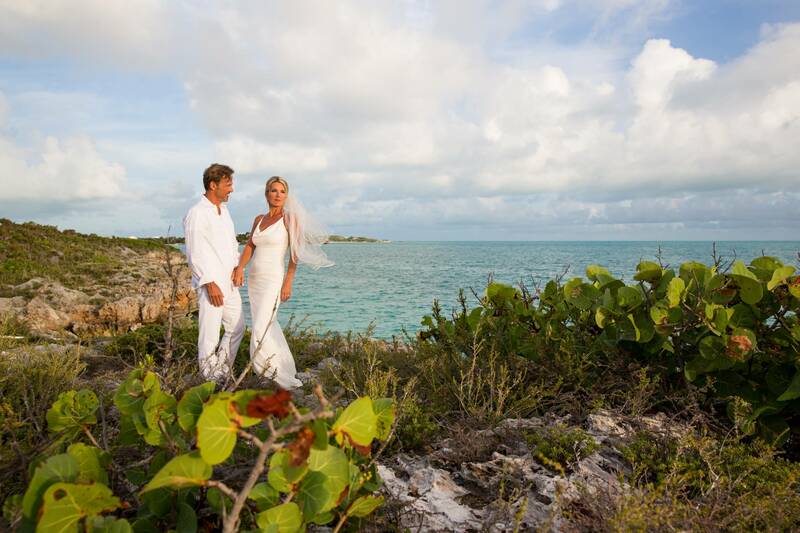 The beautiful island of Providenciales, Turks and Caicos is a spectacular spot for your destination wedding. With stunning turquoise waters and extraordinary coral origin, white sand beaches, you'll find a postcard perfect view everywhere you look. For a truly unforgettable and fabulous experience, get in touch with our staff for ideas and help planning. We'll help you find the perfect villa and venues for your wedding and reception. 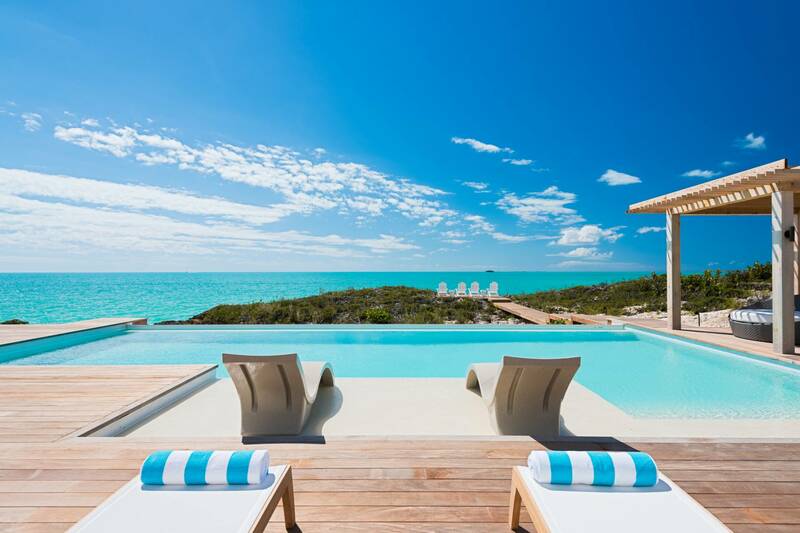 From a private beach villa, to private chefs and a relaxing day at the spa, the Turks and Caicos is also an excellent destination for honeymoons. Get in touch with us and we'll help you realize your dream. By renting your own private villa, guests can enjoy more privacy and space whilst on vacation. You'll experience a level of peace, quiet and relaxation that you can’t match at a resort. You'll also have access to a wide range of amenities, such as poolside BBQ grills, fully equipped kitchens, and water sports equipments such as kayaks and paddle boards. Within our portfolio of homes, you'll have the choice of expansive and spacious estates, beach homes and boutique cottages to perfectly suit you and your guests. For larger groups such as family and friends travelling together, a vacation rental provides more convenience. You'll have your own private pool and won't have to share with other noisy guests. Our passion at Island Escapes is to provide world-class, stellar service to each and every guest. Through our focus on our guests and ensuring a perfect stay, Island Escapes has become the largest property management company in the Turks and Caicos Islands. Not quite sure what your ideal rental home in the Turks and Caicos looks like? Just get in touch with us and one of our villa specialists will guide you to your perfect vacation home. Whether you’re a couple on a romantic getaway, or a family looking for that picture-perfect vacation, we have a rental house for you. From one to twelve bedrooms homes, estates and condominiums, we have something for everyone. 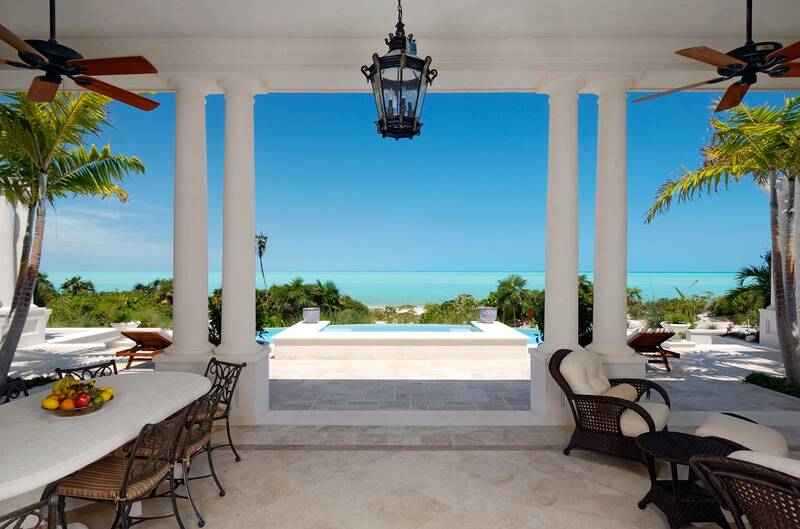 Your Turks and Caicos vacation rental awaits! We're the managers for our villas and we set all prices and discounts. Booking direct with us will always give you the best rate. We don't accept just any villa. Our Turks and Caicos villas have been hand-picked by us to ensure that they meet our quality requirements. We don't just handle bookings - we're also the property managers who take care of day-to-day maintenance and upkeep. If you have a problem or need help, our on-island staff is ready to meet you in person. We're the first for specials and discounts. As we are the property owners' local representatives, we're the first with special offers and discounts. We're not a reseller or wholesaler. There's no middle-man fees to increase prices.